This referencing system is administered by the Heads of Departments and Schools of Psychology Australia (HODSPA). It has been implemented to reduce the burden on academics and students who have previously had to organise multiple referees reports when applying to multiple courses. It is a not-for-profit enterprise, and the fees charged are used to support the costs associated with maintaining the system. YOU nominate referees, and indicate the programs and institutions being applied to. REFEREES completes a reference online. This system gives control and visibility over to you to track whether your reference has been completed by your referee. Once they have submitted your reference, you will receive a notification and you can then share this with the institution(s) that you hope to study with. Note that the reference is confidential, therefore you will not be able to view the content of the reference. Register if you are a new student, or login if you already have an account. please use latest versions of Chrome or Safari or Firefox to use this website. Unfortunately older browsers are not supported. 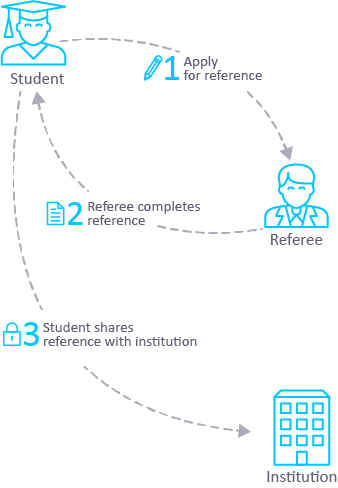 Referees complete a single reference for each student online. Referees will receive a secure link via email to create an account once they have been nominated by a student. School or course administrators will be provided with a login. They will be able to view and download references that have been shared with their institution. Please note: The new system will migrate all existing user details, but will not include reference reports submitted prior to the 1st of August, 2018. School Administrators can contact psychologyreference.helpdesk@deakinco.com regarding these references. To be able to use the system, you will need to have an active membership for the 2018/2019 application period. The cost of this membership is $25.00 and can be paid through the “My account” section in the payment tab. All memberships from the 2018/2019 intake will expire on July 31st 2019. Please ensure you renew this membership if you wish to use the system for the 2018/2019 application period. After buying or renewing your subscription, you can request for a reference through the "My references" section. Design and Developed by DeakinCo.